Housing and Urban Development Secretary Ben Carson is standing by his statement that poverty is all in the mind. Carson received backlash in May for his remarks on how to reduce poverty. "If everybody had a mother like mine, nobody would be in poverty," Carson said then. He also said parenting and "a sense of strong values" helped keep people out of poverty. 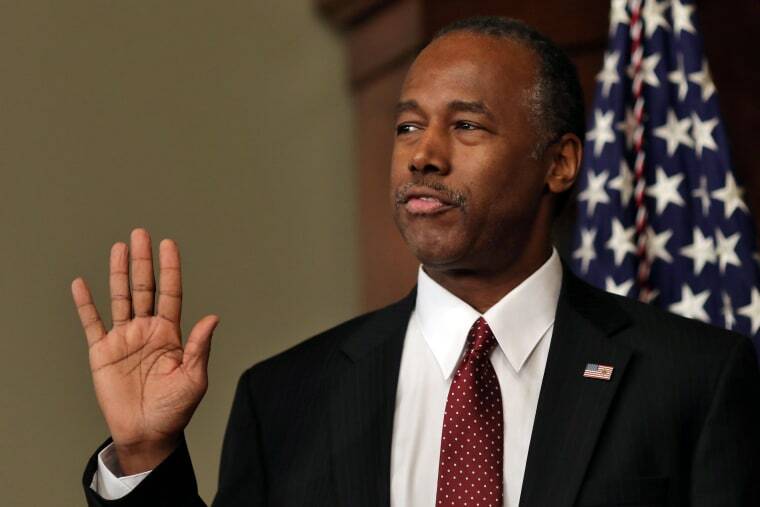 "I think poverty to a large extent is also a state of mind," Carson said then. "You take somebody who has the right mindset, you can take everything from them and put them on the street and I guarantee you in a little while they'll be right back up there. And you take somebody with the wrong mindset, you can give them everything in the world, they'll work their way right back down to the bottom." The former neurosurgeon has been vocal about his rise from poverty and is known for his “up-by-the-bootstraps” prescription and approach to achieving social and economic progress. When asked what he would say to those struggling financially and want to be successful, Carson had two pieces of advice. On Monday, Carson rang the closing bell at the New York Stock Exchange to commemorate National Homeownership Month.